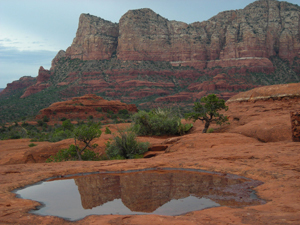 In Arizona, they say, “God made the Grand Canyon, but lives in Sedona.” Its stunning, iconic Red Rock formations, its proximity to other marvels (like The Grand Canyon), its artistic and spiritual atmosphere—these make Sedona a place to put high on your “to see” list. There’s so much to show, so we’ve done two videos. 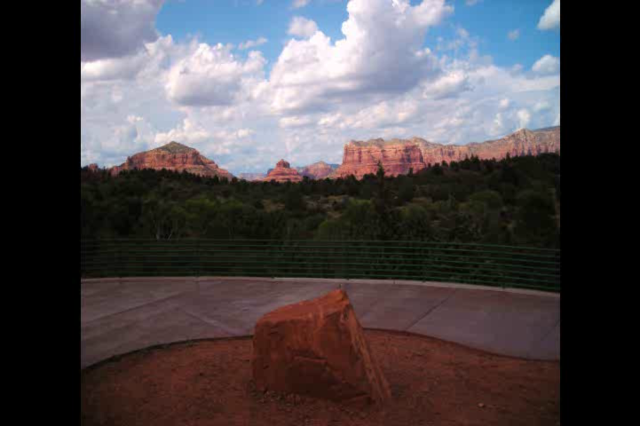 Click on the video icon below to see the one focused on Sedona and the surrounding area—from Jerome to the south to the Grand Canyon to the north. A second video (click here to see it) focuses on the Guzman’s condo, the Oak Creek Estados complex, and areas within minutes of it. A month at the condo is a featured item in the annual Emmanuel House/Bryan House Silent Auction held each November the Friday before Thanksgiving. The link just given will give you more details on these organizations and the auction on this site. Visit www.EmmanuelHouse.org for even more. This entry was posted in Family, Music & Media Podcasts and tagged Arizona, Bryan House, Bryan House Silent Auction, Emmanuel House, Grand Canyon, Jerome, Native American sites, Out of Africa, Sedona. Bookmark the permalink.